Spring has finally sprung. The sun is out and the world seems a much brighter place after a long, long winter. With the’ Beast from the East’ banished, my celebratory mood was enhanced when I heard that my photograph of my pregnant wife, had won first prize in the ‘Birth’ category of the international ‘Documentary Family Awards’. This is an organisation that celebrates the very best of modern documentary family photography from around the world. From all the recognition my photographs have received over the years, this one has to be the most personal and pleasing. While Caroline was pregnant, I was keen to document the vast array of emotions that she went through over the months. But I confess I struggled to differentiate my role as a husband and that of a documentary photographer. I try to cast an objective (if sympathetic) light on my subjects, which isn’t easy when it’s the closest person in your life! I captured the image in one of those rare beautiful photographic moments: It was late, I was in bed and Caroline entered the room after taking a shower. I had my Leica beside me and just snapped a couple of frames. Upon reflection, the image seems to capture the conflicting emotions of early pregnancy; pride, confidence, anxiety, vulnerability, even fear, especially during the crucial first 12 weeks. This award is as much for her as it is for me. 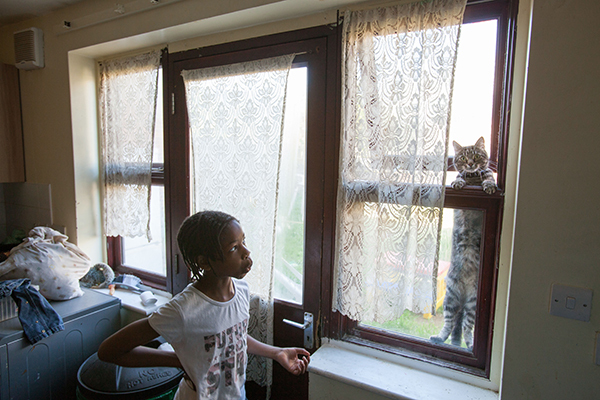 Additionally, this image from ‘The Family’ chapter of my book ‘Sunday: A Portrait of 21st Century England‘ was ranked 5th place in the ‘Nothing Is Better Than Real Life‘ category of the same awards. 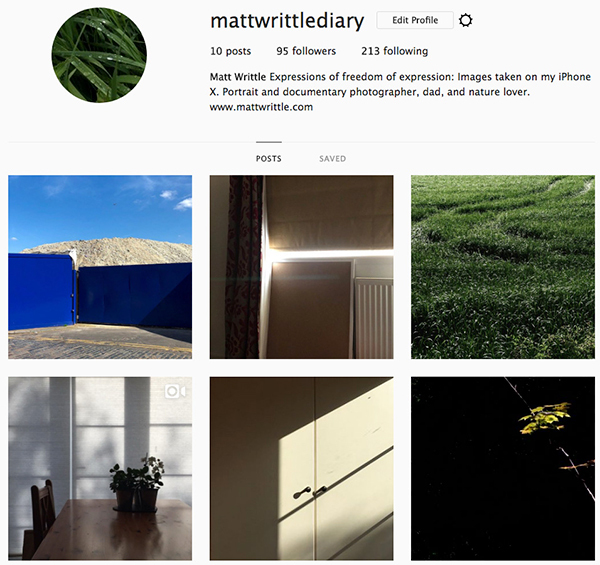 I have created a secondary Instagram account @mattwrittlediary which I am posting images exclusively taken on my iPhone. ‘Expressions of Freedom of Expression’ will not feature any commissioned work, just every day moments and emotions that inspire and challenge the way I think about the world.